Kuana’ike (koo-AH-nah-EE-kay) = perspective. Sometimes a change in environment helps us gain a little perspective and appreciation for our lives. We recently took a trip to Hawaii thanks to years of saving up frequent flyer miles and having relatives who live there with a spare bedroom. Our 50th state is a mix of cultures, much more of a melting pot than other parts of the U.S. Instead of today’s trend of diverse groups coming to America and maintaining separate identities, the cultures of Hawaii really do blend and merge. One can easily find a mix of Asian, Portuguese and Pacific Island foods in every grocery store. Pidgin English is a conglomeration of English, Hawaiian and Asian words (think Spanglish with a distinctive Polynesian lilt), frequently punctuated with “Shaka, brah” (a.k.a. 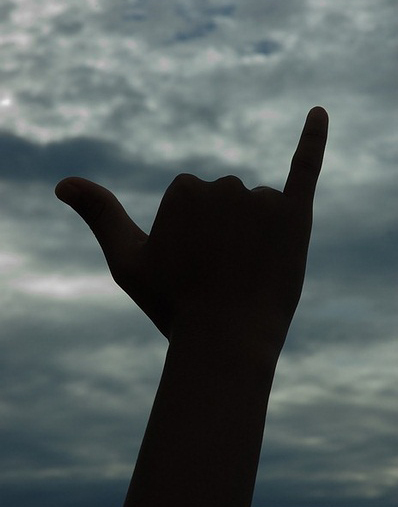 hang loose, bro’). And of course there are mergers through marriage. Here’s another Hawaiian phrase: hapa haole. Hapa haole refers to people of mixed ethnicities. Literally, it means half white (with the other half usually being Asian or a variation of Polynesian extraction). On the islands, it has come to be used as a catch-all term for people of mixed race. If you are old enough, you may have heard the term used on the 70s TV show “Hawaii Five-O” (which is currently being updated and remade by CBS — bad idea, but I’ll save that rant, along with complaining about lack of originality and the unending propagation of Broadway musical “revivals” for a future blog). Hapa haole people abound in Hawaii ever since the landing of British explorer James Cook paved the way of Europeans to the Hawaiian islands. Queen Emma, wife of King Kamehameha IV was hapa. There are many other famous hapas: Dwayne “The Rock” Johnson, Keanu Reeves, Apolo Anton Ono, and of course, President Barack Obama, whom Hawaii now claims as its very own. My favorite hapa haole people in the world are my children. We live in a fairly homogenous suburban New York community, so hapa kids are more of a rarity. But it has not had any negative impact on them. They have friends of different races and religions, and they all accept each other openly, for which I am grateful. However, in our neighborhood in general, our kids are a bit more noticeable in a crowd. It’s neither a good nor bad thing. They are just unique. I like to think of them as extraordinary, exceptional and incomparable…but I’m their Mom. In Hawaii you can’t swing a dead mongoose without running into a hapa haole person. While on Oahu, my son commented that everyone in Hawaii looks like him, and he kind of liked not standing out for a change. From an appearance standpoint, he felt he fit in more, although the culture of a New Yorker could not be more different from a laid-back Hawaiian. My parents were born and raised on Oahu, and I lived there as a little girl, so my point of view contrasts a bit with my son’s. When I go to Hawaii, I’m surrounded by childhood familiarities, malasadas and shave ice, liquid sunshine, $5.99-per-gallon milk, and people who, for the most part, all look like me. In some ways, it’s easier to blend and disappear, but somehow I don’t feel as special. I like being unique. I guess it’s all in your perspective. It was nice to get away to enjoy a change of scenery, acquire a fresh tan and a little kuana’ike…but it also made me appreciate coming home, back to my own bed, kitchen, cats and routine. Aloha. Very interesting perspective, I have a decidedly west coast view, where in the South Bay in So Cal we do have a plethora of hapa kids and they do blend in with the mix of Asians and Pacific Islanders. They do not stand out and seem just be a part of the mix that I feel is so much like it is in Hawaii. Very happy to know that Shaune and Shannon had a great visit. What a great time for them to visit!